Martin Scorsese made his first film in 1963 while still a student at New York University’s film school, but it was “Mean Streets” a decade later that brought him international attention. Scorsese’s 50-year career in filmmaking includes such movies as “Raging Bull,” “The King of Comedy,” “The Color of Money” and, of course, the controversial 1976 classic “Taxi Driver.” Not only have his films established him as an important director, his work also created stars such as Robert De Niro. 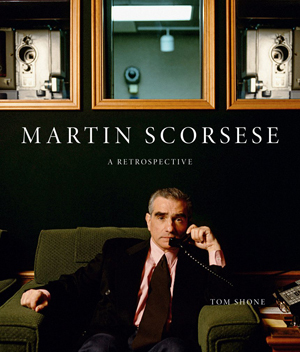 Tom Shone, film critic of the Economist’s Intelligent Life magazine and a frequent contributor to The New York Times and The New Yorker, has compiled a remarkable book about Scorsese and his work. Featuring more than 250 images, including movie stills, archive publicity material and on-set photography, this stunning monograph is the next best thing to actually viewing a Scorsese film. Born in New York City in 1942, Scorsese spent much of his childhood absorbing the sights and sounds of Little Italy from the balcony of his family’s tenement apartment. This is, perhaps, why his films, especially those set in New York City, have such authenticity. Because of childhood asthma, Scorsese spent much of his early years watching movies. In fact, he became so caught up in movies and movie making that he began constructing storyboards. When he was accepted at New York University’s film school, he learned his craft and became not just good, but great. This lavish book is a fitting tribute to one of cinema’s most enduring talents.